Consistently ranked as a Top Producer throughout her 25+ year real estate career. 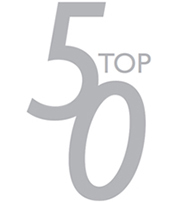 Yearly recipient of the Five Star Home Professionals award for client satisfaction. Naples homeowner and resident since 1984, and a real estate professional since 1990. Comprehensive knowledge of Naples neighborhoods and the history of the area. Served numerous times on Naples Area Board of REALTORS® committees including Contract Review and Ethics, as well as on boards of local companies. Keeping clients informed of all marketing, advertising, showing activity and feedback. These online portals are a result of the company’s membership in Leading Real Estate Companies of the World™, a network of independent real estate brokerages spanning 60 countries and including more than 120,000 real estate professionals who, collectively, sell more property than any of the large national brands. Search over 350,000 listings in one place and view homes in over 60 countries. 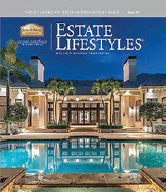 Estate Lifestyles Estate Lifestyles™ is an exclusive luxury market periodical, distributed by John R. Wood Properties via direct mail and strategic locations to specific clientele. It is one of the most targeted publications in the real estate world, extremely effective in reaching high-end purchasers. John R. Wood Properties offers a monthly magazine for buyers who are looking to buy in Southwest Florida. Issues are full of beautiful pictures, information on communities and listings of homes currently on the market. Also offered is a weekly magazine for buyers and those wishing to attend open houses. Included are properties currently on the market.